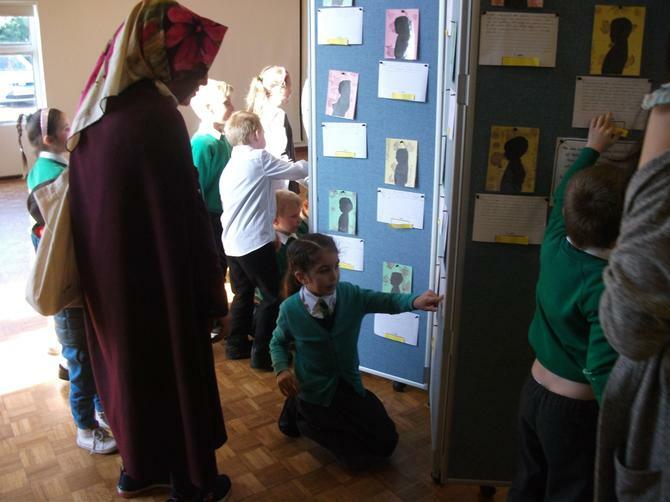 We have been learning about significant artists throughout time and how they presented their work. 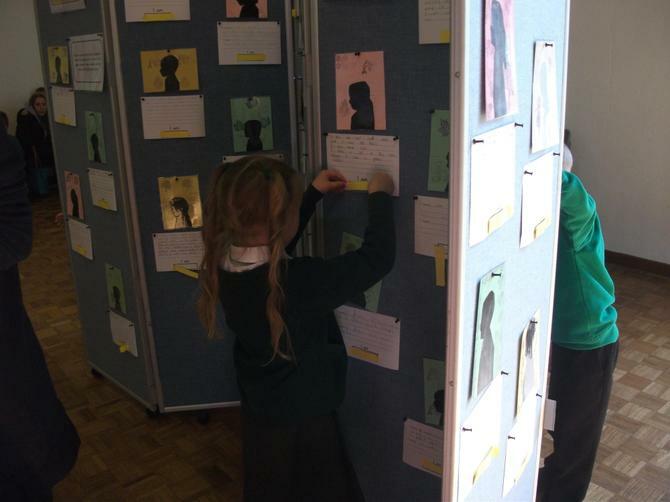 We begun our learning by exploring how portraits have evolved into photographs following the invention of the camera and now, selfies! 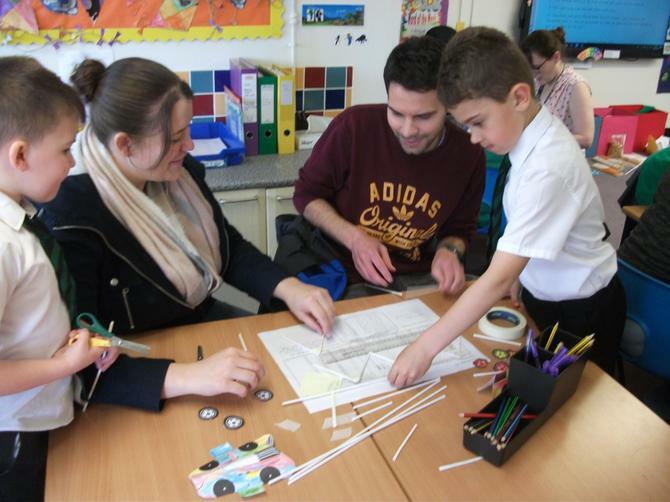 The children have explored the works of William Morris, an 18th century artist who made stained glass windows, wallpaper and tapestry. 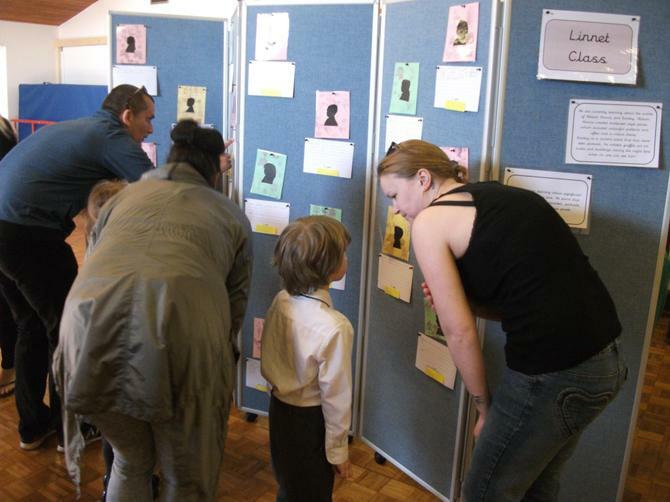 William Morris' designs were often patterns and included designs inspired by nature and were repeated in block patterns. 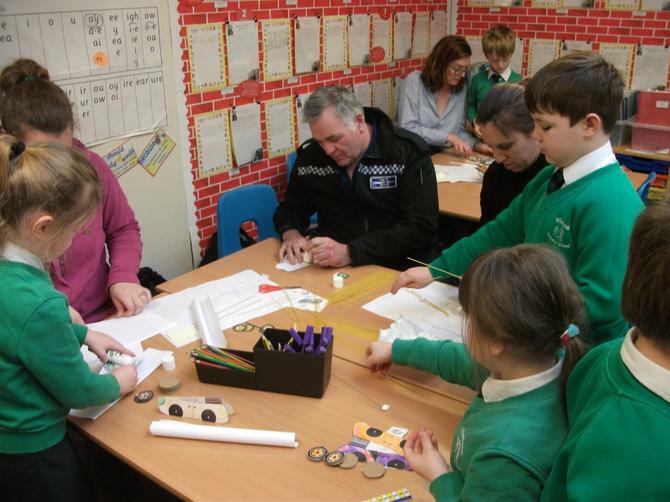 The children also learned about Banksy, an anonymous graffiti artist who uses stencils to create his pieces. 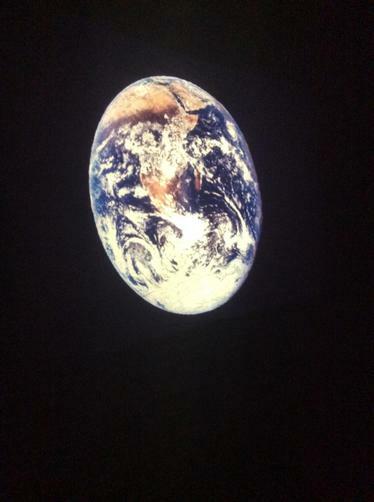 His work is sprayed onto walls and buildings around the country and usually contain a hidden message or meaning. 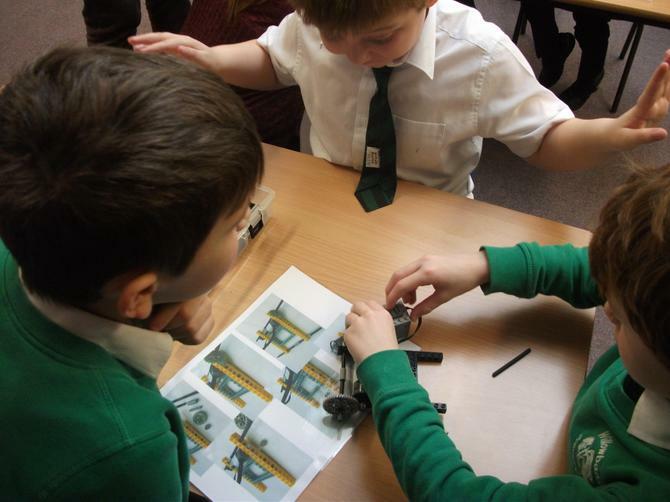 Unit 1 have used their printing skills to create a pattern in the style of William Morris' wallpaper. 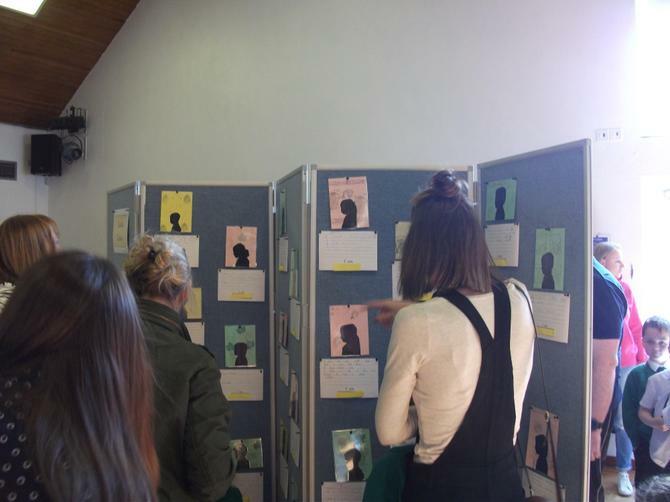 Following this, they cut out a silhouette stencil portrait in the style of Banksy. 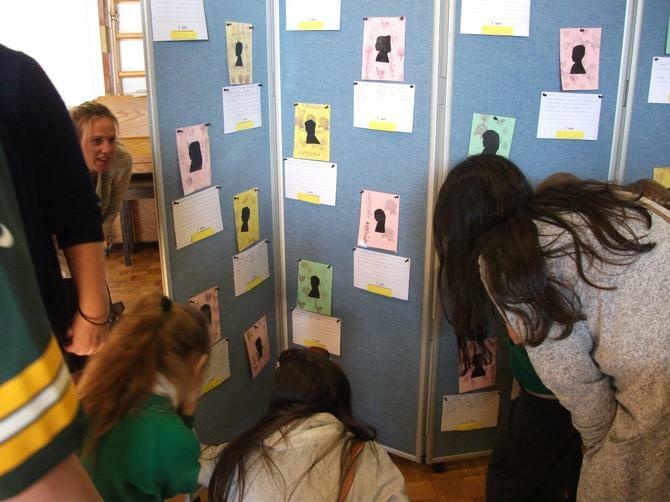 The children wrote a description of themselves using interesting adjectives. 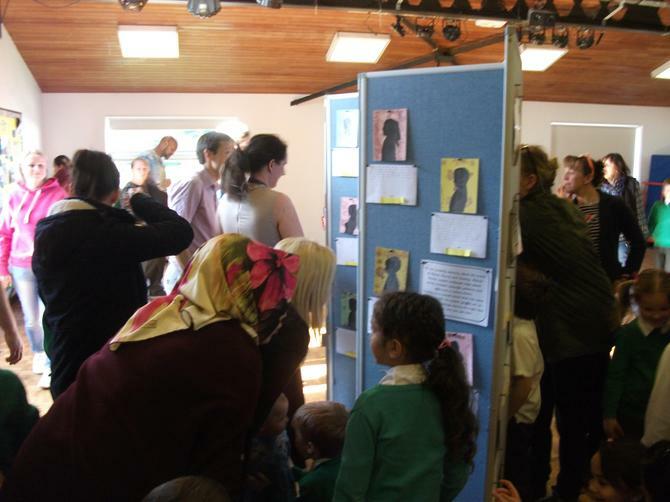 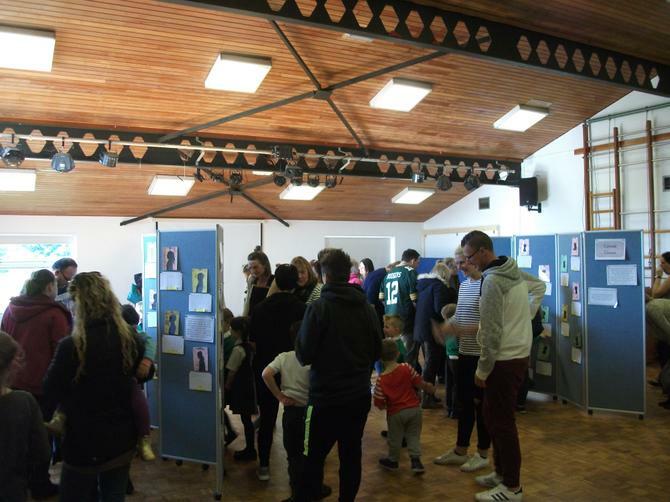 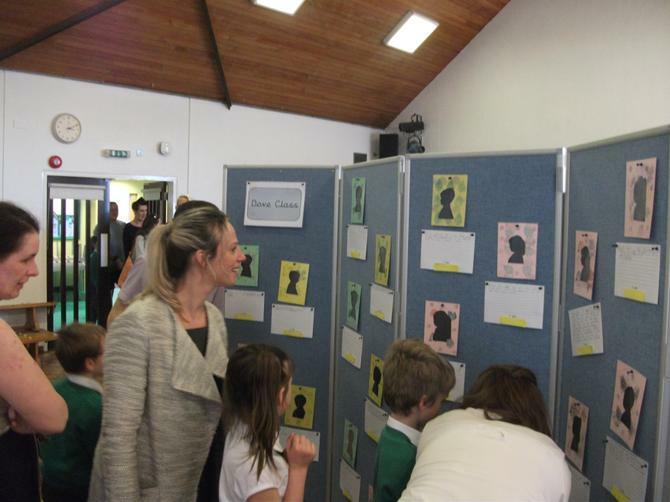 We invited parents in to come and take part in our Guess Who Gallery where they had to use the clues given in the children's descriptions to try to identify different children. 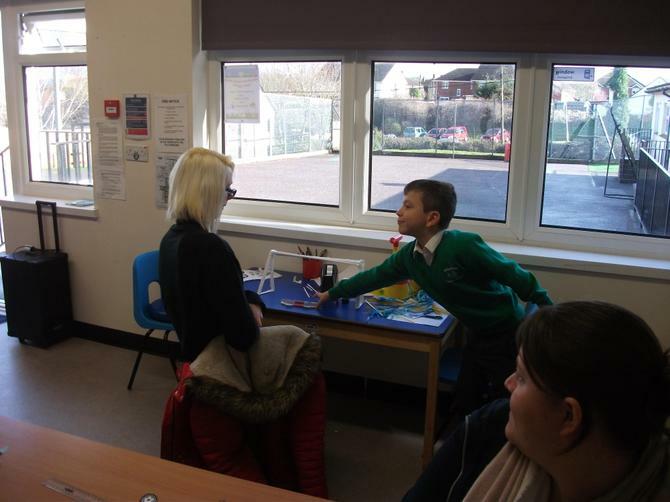 Thank you so much to all parents who came in to school to see their children's work, we feel it is a valuable experience for the children and a chance for them to share their learning with you. 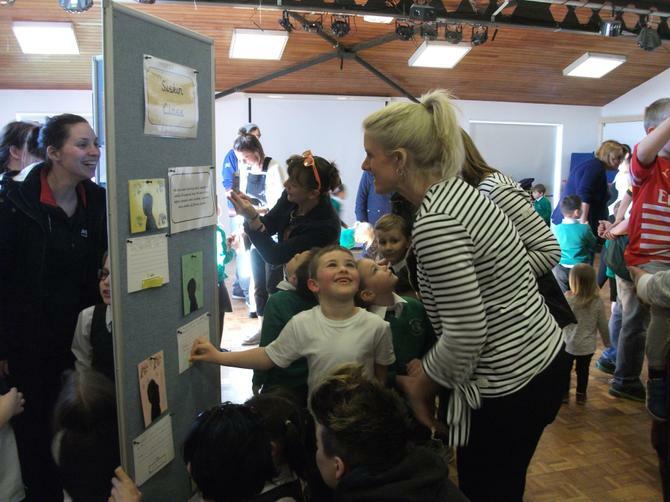 To see them feeling so proud of what they have created was wonderful! 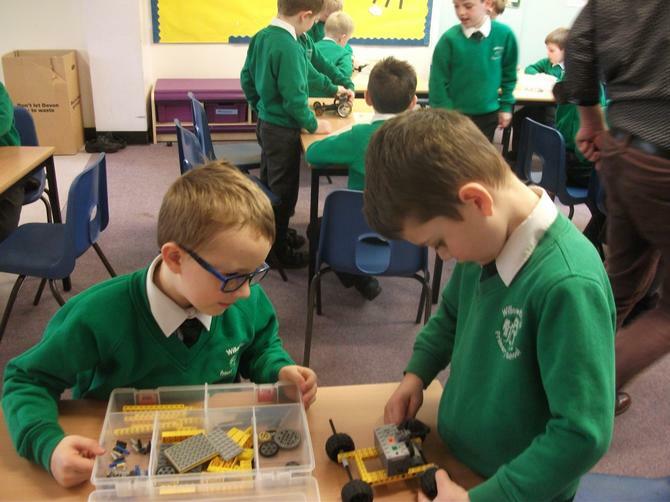 Unit 1 have been learning all about transport through time as part of their Time Travellers topic. 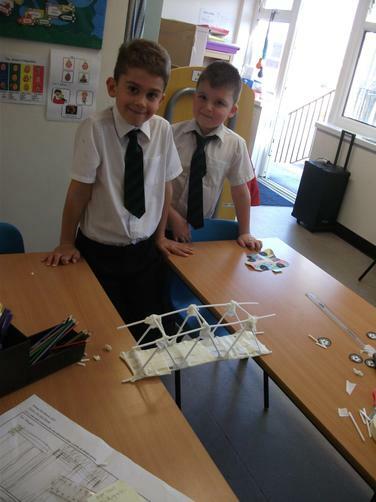 After looking at how transport has changed over time, the children learnt how bridges were designed and built many years ago and how many are still standing today as a result of their sturdy structures and careful designs. 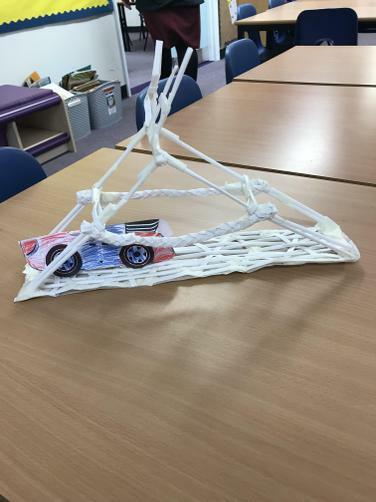 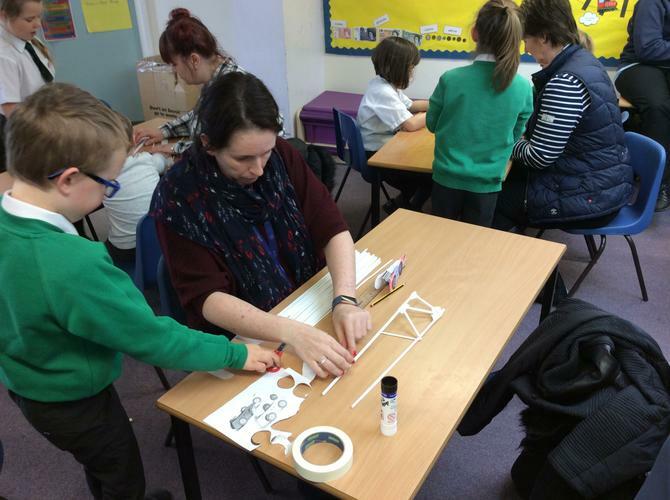 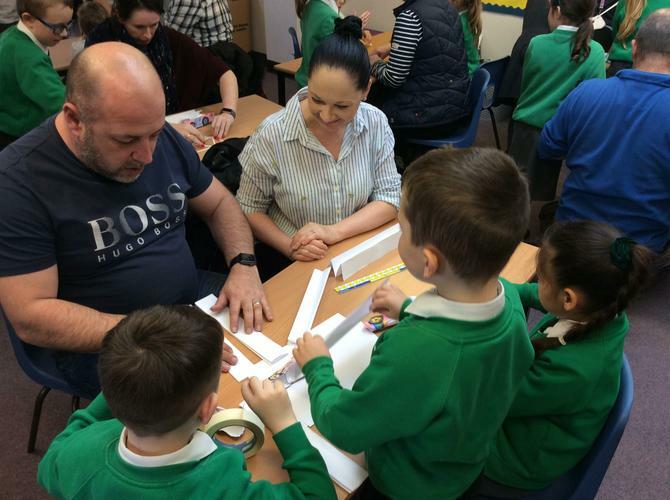 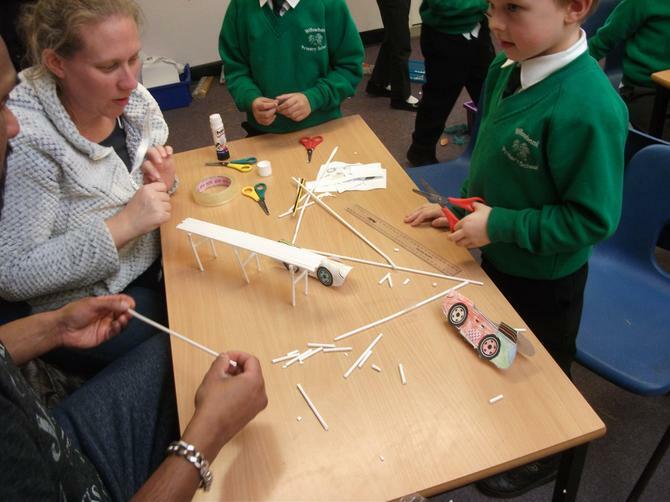 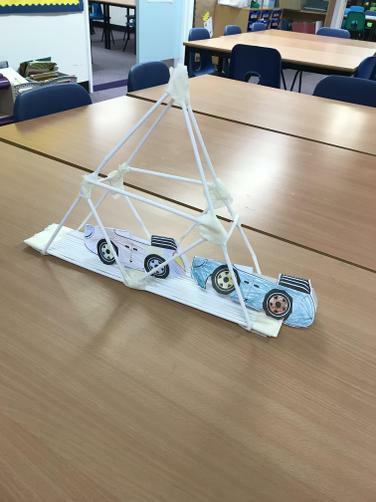 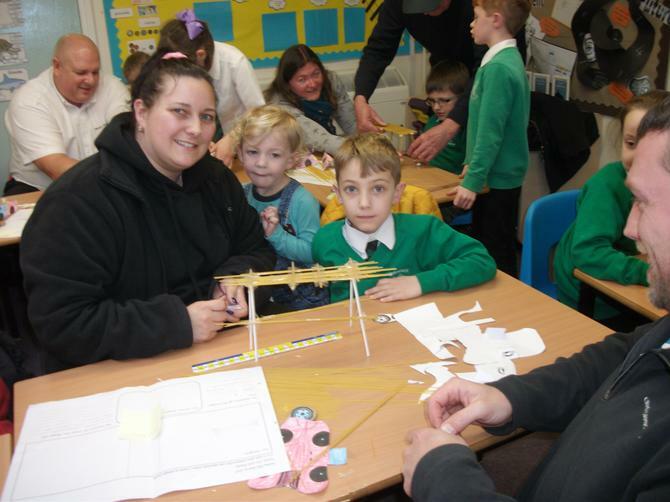 We invited parents in and set the children a challenge to design and build a sturdy bridge which could withstand the weight of a paper car. 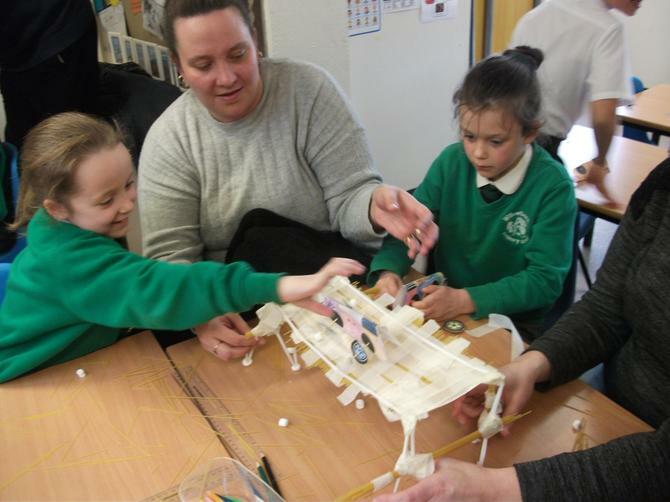 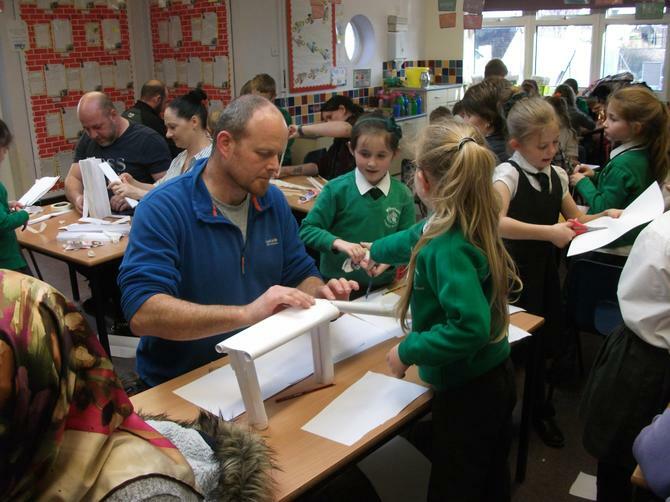 The children and parents were allowed to select just two materials to build their bridge from. 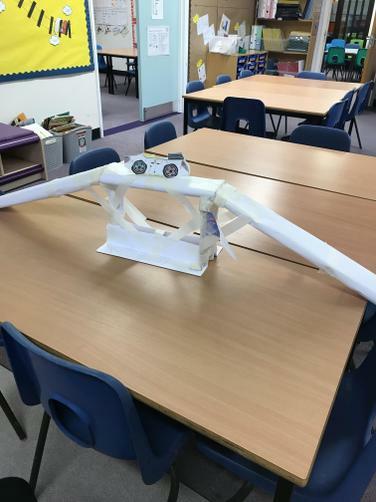 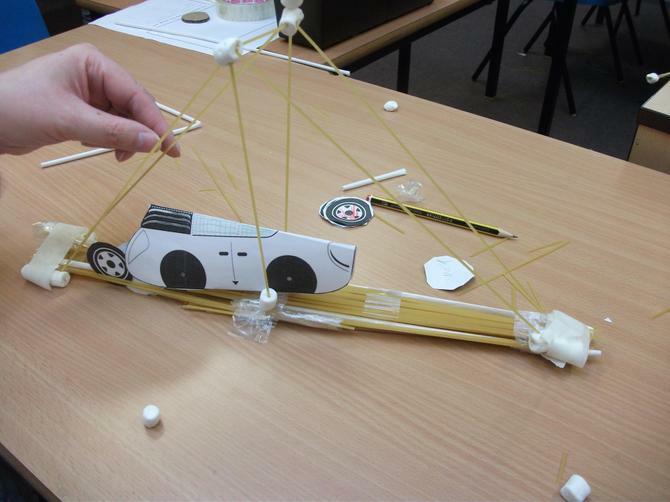 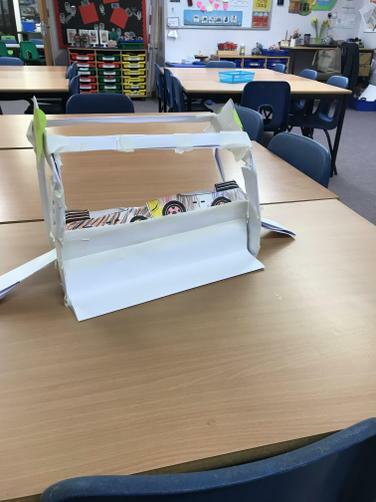 Each bridge had to be at least the length of a ruler and wide enough for their paper car to sit on. 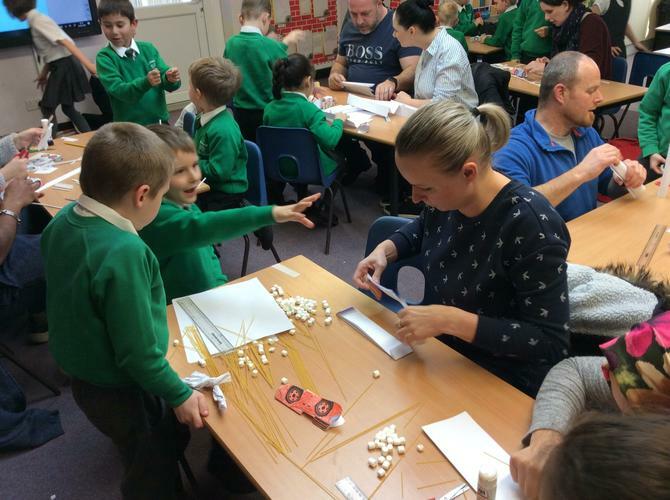 Children and parents showed fantastic determination in this challenging task and worked well together in teams. 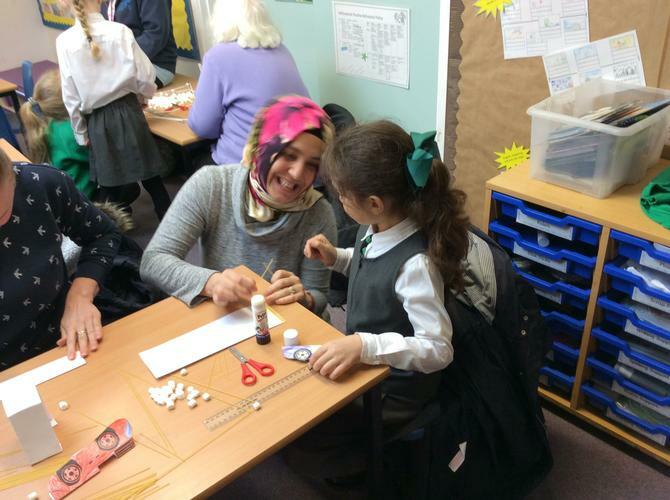 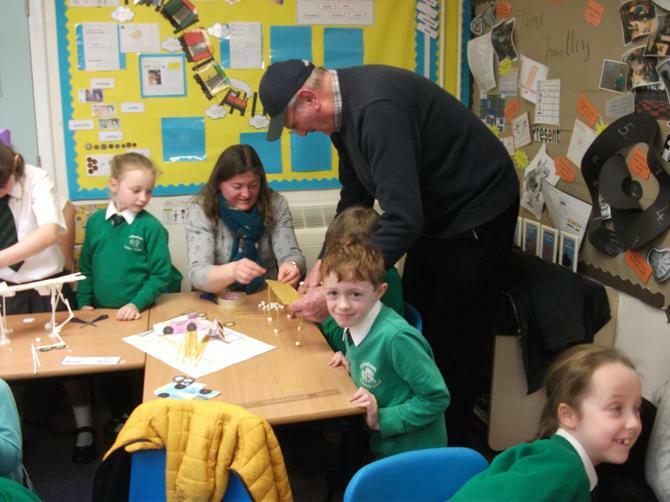 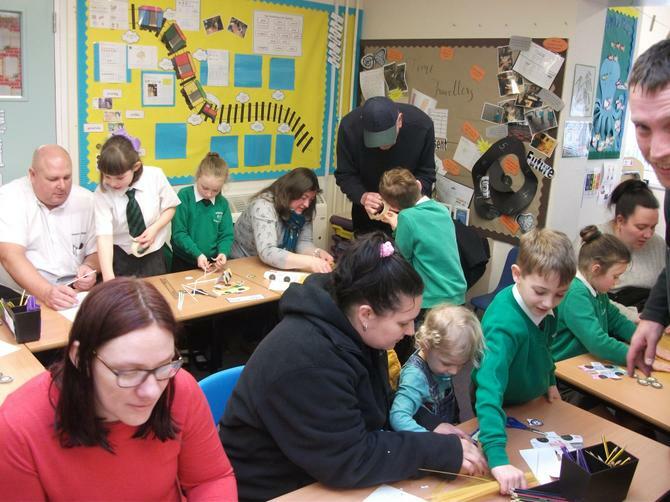 A huge thank you to all parents and grandparents who supported the children with this activity, they thoroughly enjoyed completing their learning with you and welcoming you into their classroom to share this experience with them. 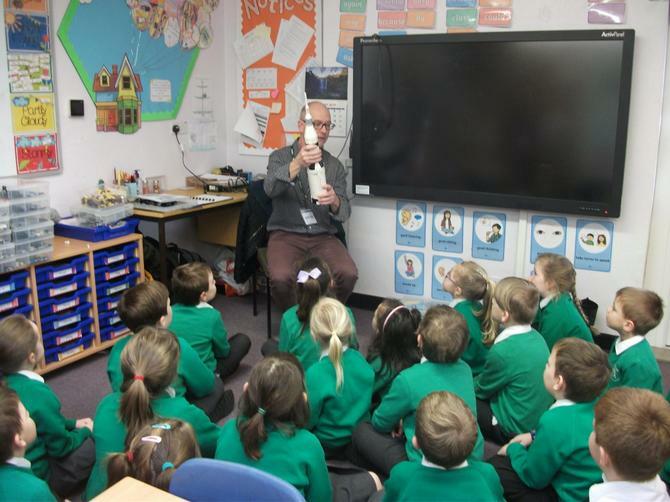 On Wednesday, the children in Years 1 and 2 had a special visitor. 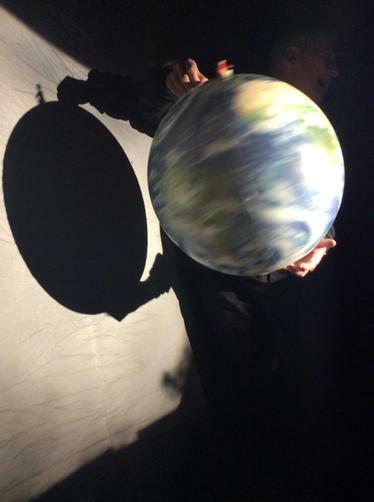 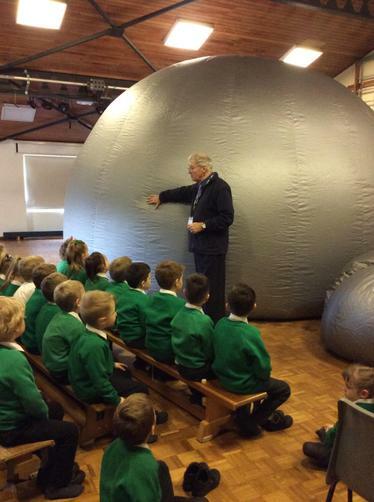 Mr Barber from the Spacelab Planetarium brought in an inflatable planetarium in to school for the children to see and experience! 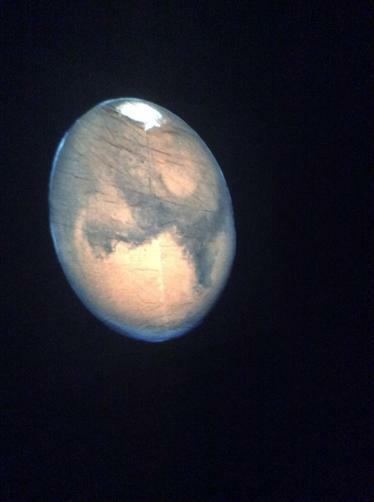 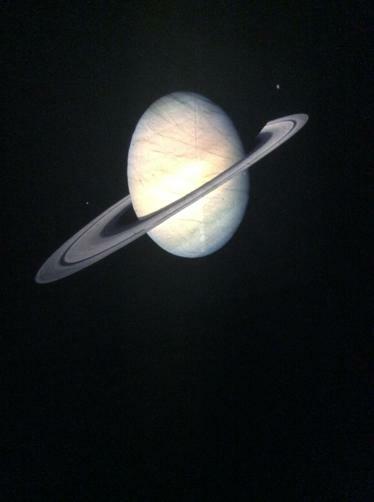 We had to crawl through a long tunnel into a giant dome and inside, all the lights were dimmed and the planetarium was left in complete darkness. 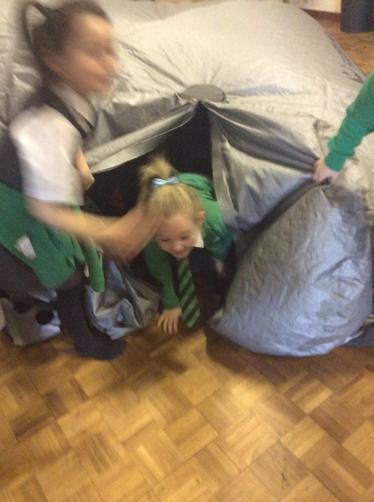 The children learnt all about the solar system; different planets were shown on the sides of the dome and children were able to watch how the Earth moves and experiences day and night. 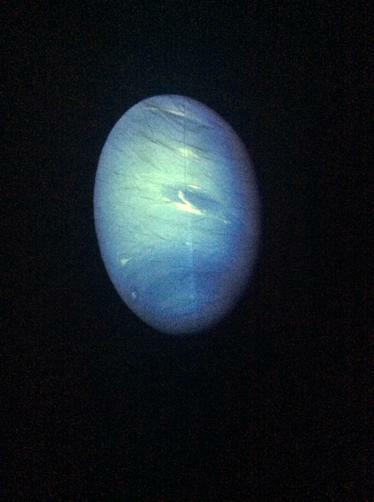 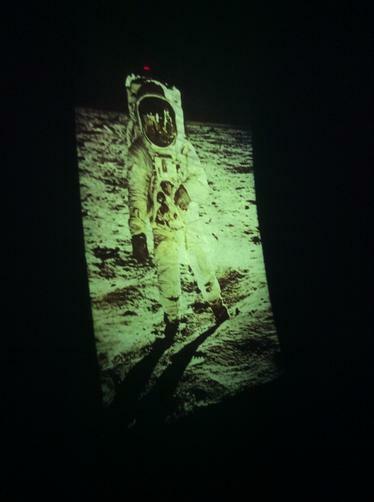 We also learnt all about the stars which were projected onto the roof of the planetarium. 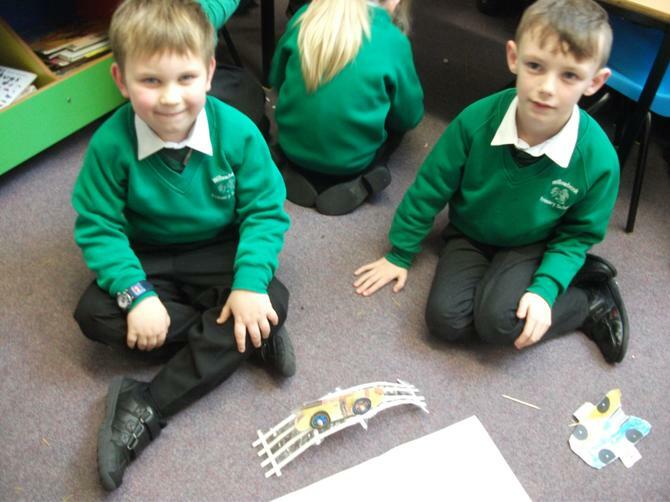 The children looked at the different star constellations and how far away they are from us on Earth. 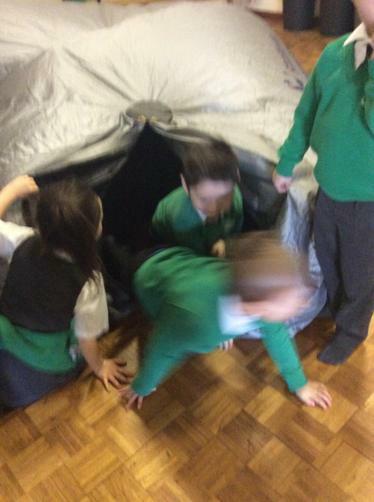 They learnt how to identify different constellations and look for the North Star at night. 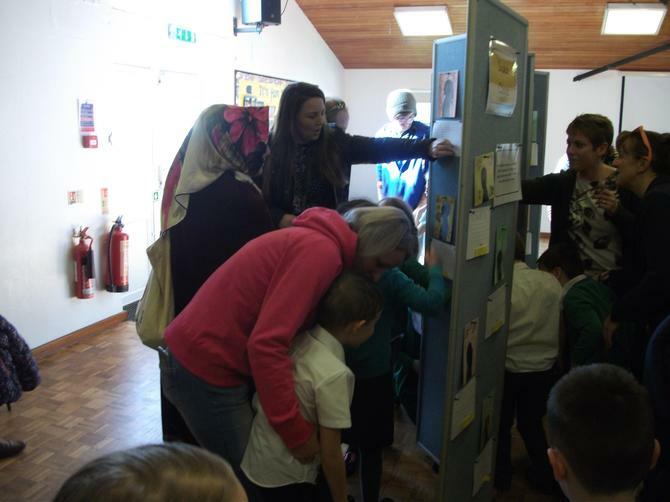 The children had a fantastic day and really showcased their excellent understanding of the Earth and space. 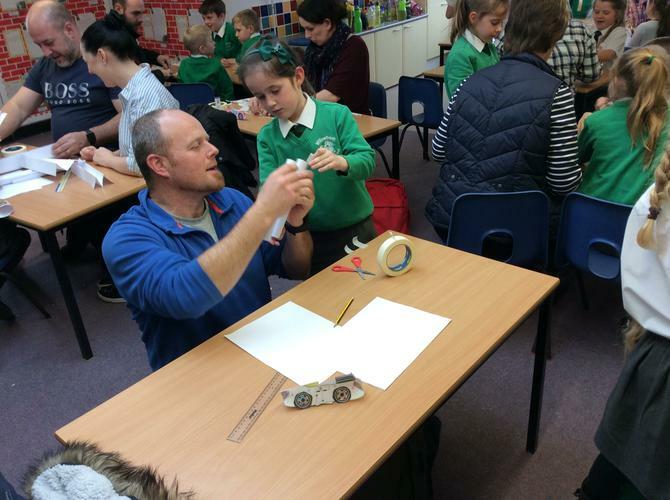 Thank you so much to Mr Barber for coming in to school to provide the children with such a fantastic opportunity! 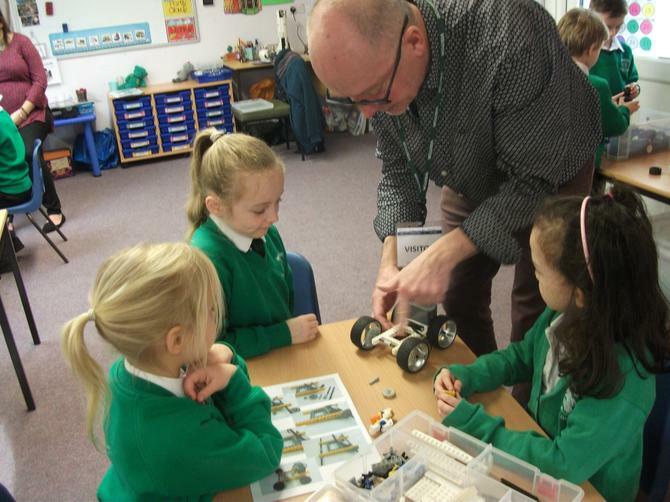 Unit 1 have were very fortunate to have been visited by Julian Surtees - an expert in everything Lego! 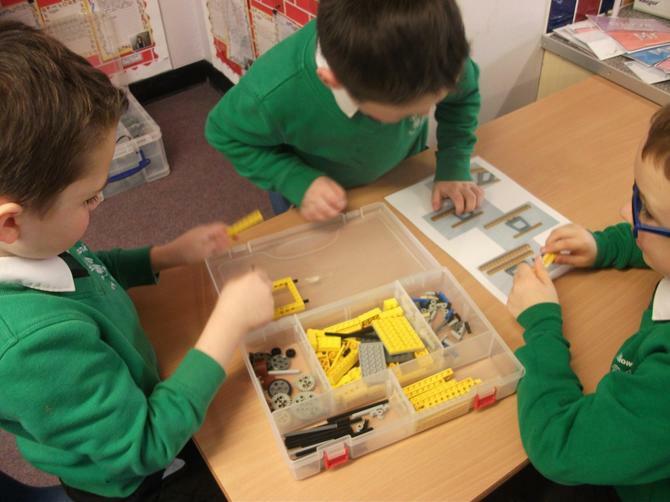 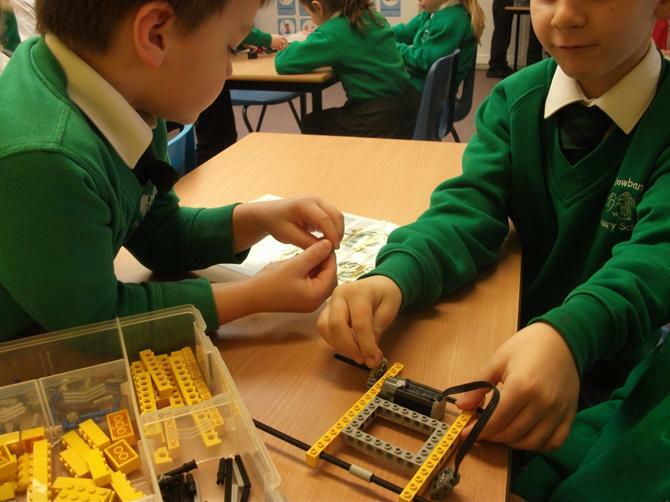 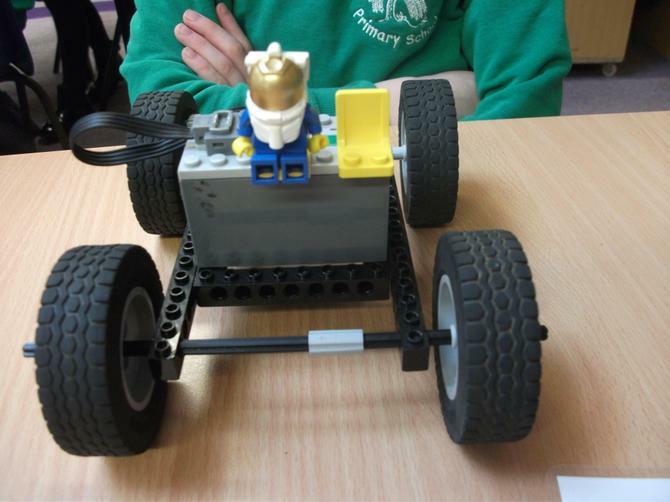 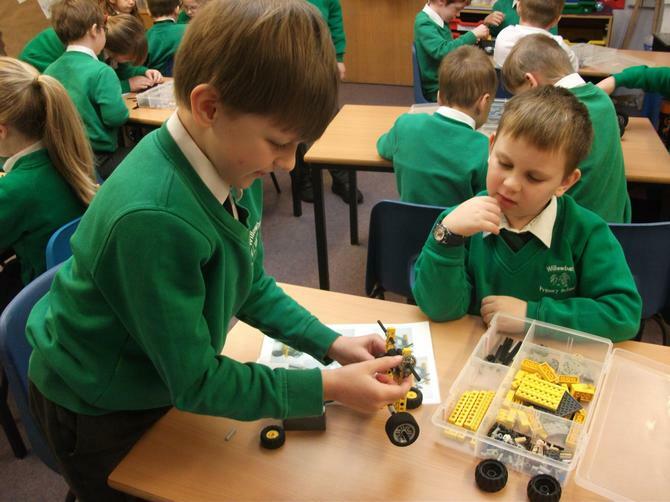 The children followed step-by-step instructions to help them to build their own Lego Moon Rover. 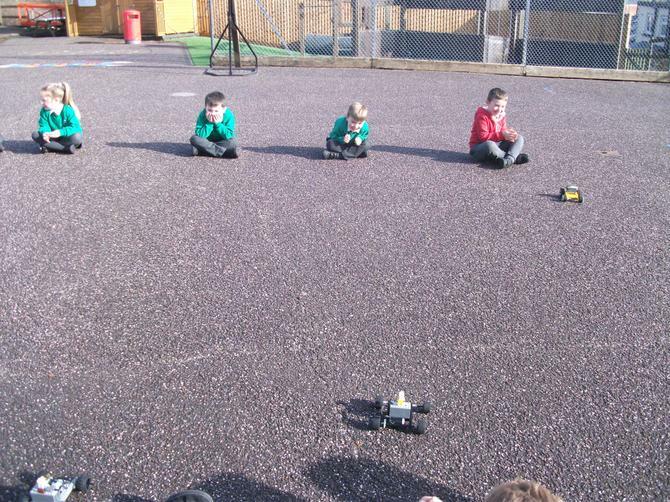 Each vehicle had cogs and a motor which the children had to fit independently. 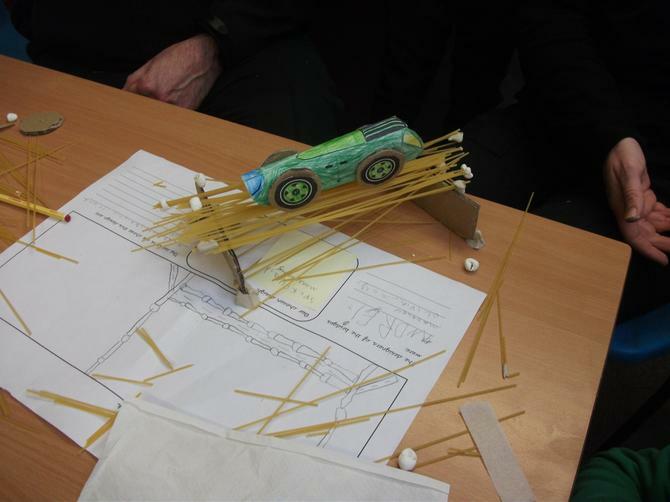 Their designs could be modified and adapted but had to withstand a driving test on the 'Moon'. 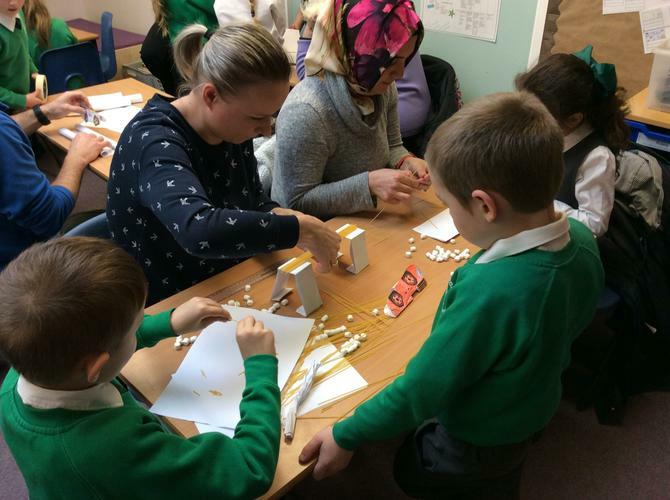 Throughout the sessions, the children showed fantastic teamwork, perseverance and determination, creating some excellent models. 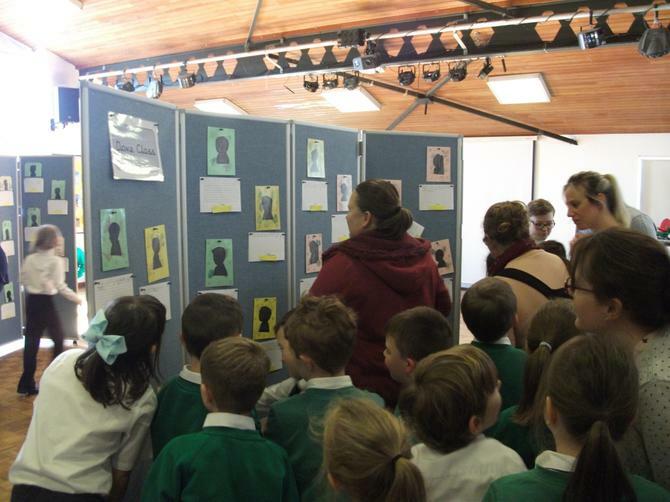 Our topic this term is Time Travellers and a lot of our learning will be linked to this theme. 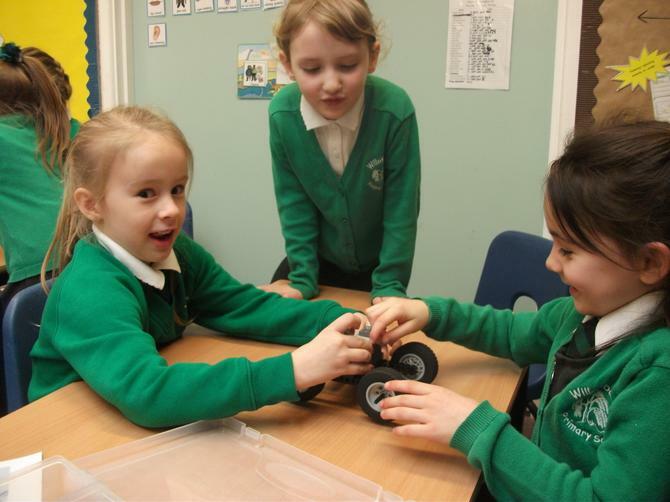 At the start of term, the children had to use their problem solving skills to crack codes, leading to a mystery item buried somewhere in the school. 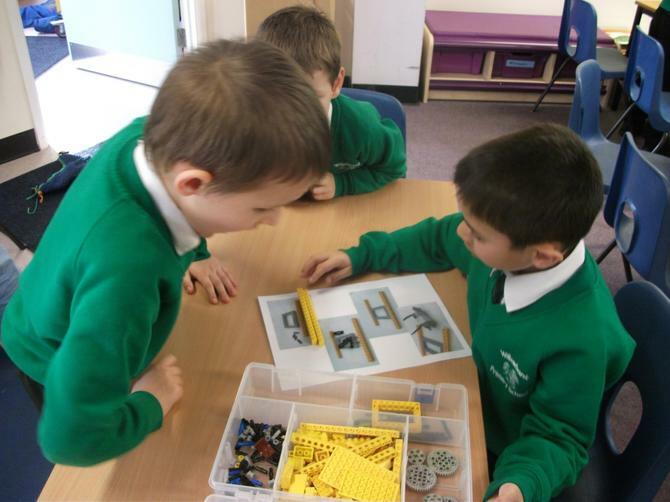 They had to use their addition knowledge to find the first clue, then direct their partner using positional language to find the next. 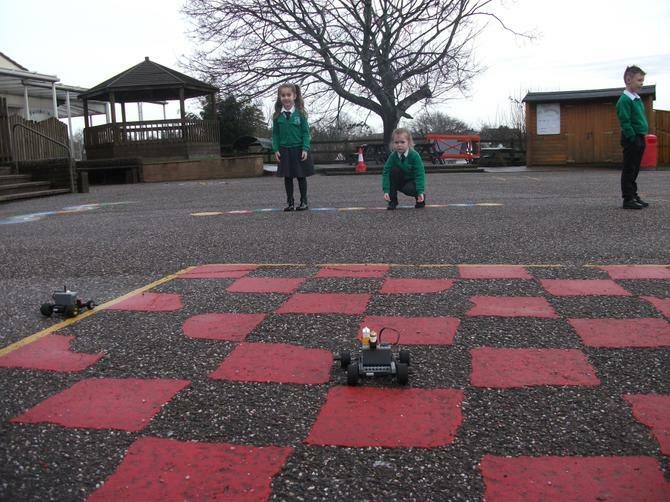 The children found lots of letters hidden in different places around school which they unscrambled to reveal the location of the mystery item - a time capsule buried in Forest School!